BMX and Skateboard! Both sports have their roots in the 70's in California. Both sports are great and fascinating since that time young but also older people around the world. 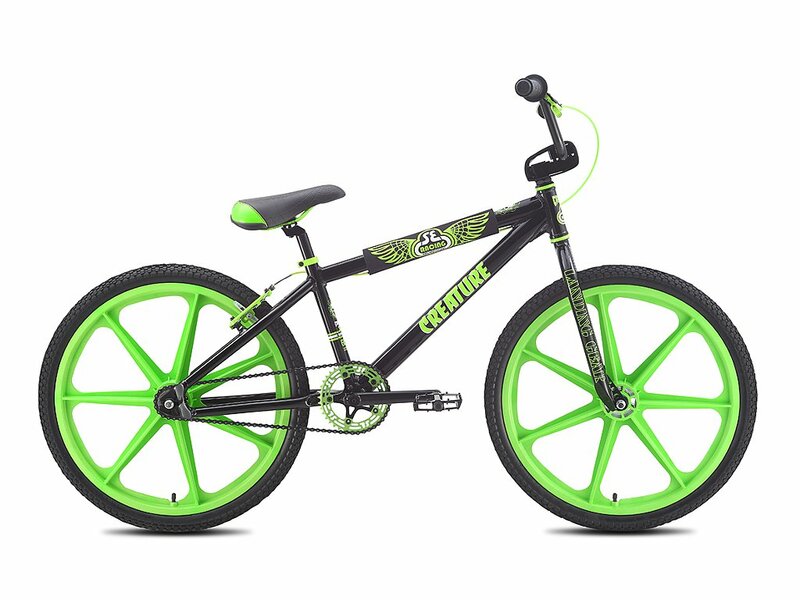 SE Bikes was founded in 1977 and is one of the oldest BMX brands at all and that's why SE Bikes has concluded with the Skateboard company Creature a cooperation and pays with this SE Bikes "Creature 24" 2016 BMX Cruiser Bike - 24 Inch homage to the BMX and skateboard sport history. 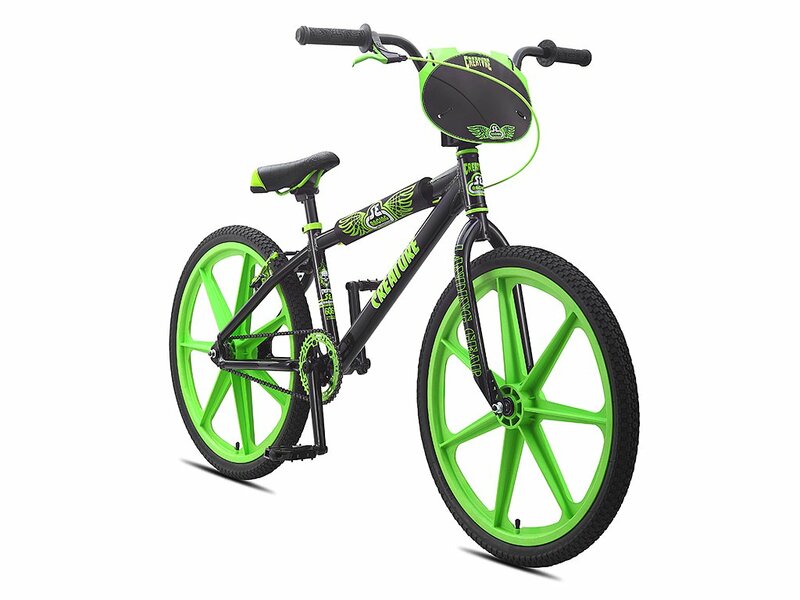 This Retro Cruiser is equipped with 24" inch, fully sealed Skyway" Tuff II "Tuffwheels in a Special Edition and also provides high quality and stable attachments. The Creature and SE Racing - Creature collaboration stickers and the collabo number plate stand for the two best sports and celebrate over 40 years of Skateboarding and BMX history. 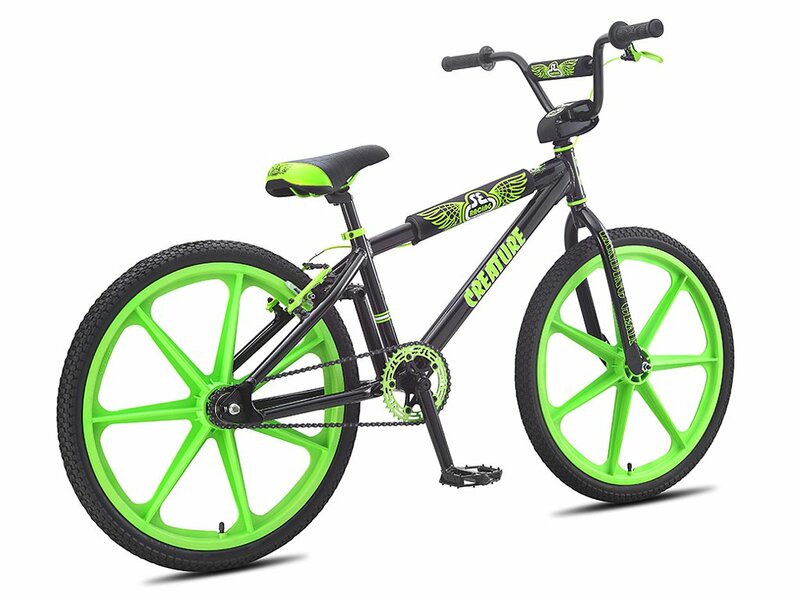 BMX Bar: SE "Powerwing" Cruiser, 2-pc.